Hauck HT Ltd. offers the widest range of Plasma Nitriding and Plasma Nitrocarburising facilities available in the UK. 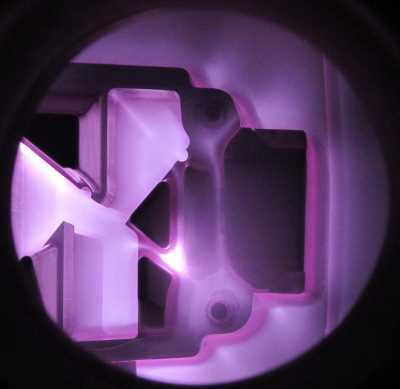 This Plasma Nitriding process hardens stainless steel and titanium alloys. A very high degree of control of the case depth and compound layer is achieved by this form of nitriding. Extensive facilities, which are located in Telford and Birmingham, provide coverage to the whole of the UK. This process is also associated with Ion Nitriding, specialist surface hardening and improved fatigue resistance. Both hot wall pulse power technology and cold wall DC power technology is available. Fully computerised, this non-polluting technology provides excellent reproducibility and quality of the case depth and compound layer. Technical experts will recommend the correct choice of process for a particular material / application. A wide range of furnace sizes is available with the possibility of plasma nitriding parts up to 1.8m in diameter and 2.8m in height. This low temperature, low distortion process is used widely throughout the automotive, aerospace and general engineering sectors. Titanium and Nickel alloys are also Plasma Nitrided. The hard layer formed when nitriding these materials tends to be relatively thin (<20 microns) but very hard and wear resistant. Plasma Nitriding is a Nadcap approved process within Hauck HT.